The new Kia Soul in Odessa, Texas is Kia’s most affordable crossover but this innovative vehicle is far from boring. 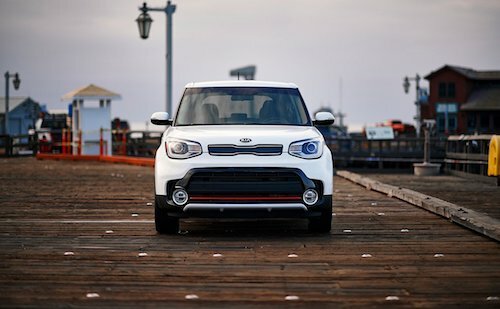 The Soul has sporty good looks, a playful attitude and all the versatility of a SUV. With seating for five adults and advanced technology including available voice activated roadside assistance and vehicle diagnostics, Pandora Radio and a rear camera display, the Soul is packed with convenience. Our selection of new Kia Soul models includes a wide array of colors and trim options to choose from. View our online Kia inventory for a complete list of vehicles in stock now and see MSRP, vehicle details and specifications. We invite you to visit Kelly Grimsley Kia and test drive the new Kia Soul in Odessa, TX today. 2018 Kia Soul Odessa Texas KNDJX3AA3J7529296 Black ! 2016 Kia Soul Odessa Texas KNDJX3A52G7335192 Blue !